Those who have not taken the time to explore the wonderful world of philosophy may consider it as having very little practical value or benefit in the real world. 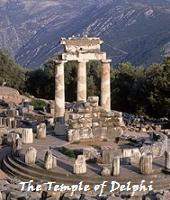 The word philosophy is derived from the Greek words "philo" meaning love and "sophia" meaning wisdom. Therefore, it is the love of wisdom and the seeking of knowledge. It is also the desire to examine the nature of the universe, man, and the human condition. What could be more relevant? How does philosophy contribute to personal development? Studying philosophy and the works of some of the greatest thinkers in the history of the world is invaluable in helping us determine who we are and what we are doing here. Contemplating what the great philosophers have found to be meaningful and worthy assists us in establishing our own views on life, our purpose, and our values. William Ralph Inge said: "The object of studying philosophy is to know one's own mind, not other people's". More than just a pursuit of knowledge, philosophy is also an activity; one that teaches us to analyze, assess and reason. It is an instrument for acquiring and honing critical thinking and problem solving skills. Anyone pursuing a career in law is required to take courses in philosophy for the purposes of cultivating logical and methodical thinking. If it were not for philosophy and logic, knowledge about ourselves and the world we live in would be very limited. Up to this point, I have featured some of the most important and influential philosophers from different periods of Western history and their contributions to Western thought. During the next few sessions, I will feature the philosophy of some of the great Eastern thinkers. Please continue to enjoy the various viewpoints and allow them to expand your thinking. Siddhartha Gautama was born in approximately 567BC in the kingdom of Kapilvastu (now Lumbini), Nepal, the son of a very wealthy king. At his birth a seer predicted that Siddhartha would either become a great king or a great religious leader. Because of this prediction, his father sheltered and protected him by confining him to the palace throughout his entire childhood preferring that he become a great king. If he was allowed to leave the palace, it would be more likely that he would become a great religious leader. For 29 years, Gautama lived a life of luxury and comfort as he was protected from the challenges and adversities of the outside world: "a white sunshade was held over me day and night to protect me from cold, heat, dust, dirt and dew." Eventually, at 30 years of age Gautama was permitted occasional outings outside the palace. When he ventured out what he saw astonished him. He saw sickness, suffering and death – in other words, the human condition. He inevitably realized that he too would utimately encounter such conditions. During a fourth excursion outside the palace walls, Gautama came across a holy man who, he discovered, was able to live a spiritual and meaningful life in spite of the difficulty and suffering surrounding him. Resolving to find the same peace and enlightenment, Gautama left the palace, never to look back to his previous life. During his self-imposed exile, Gautama aspired to learn from other holy men. At one point, while avoiding all physical comforts and pleasures, he nearly starved himself to death. To his dismay, this approach did not bring him comfort from the suffering he encountered. He then reflected upon the time he was a small boy and had observed how insects and their eggs were trampled and destroyed when the grass they inhabited was freshly cut. He remembered the profound empathy and compassion he felt for their loss. This memory of his childhood compassion provided Gautama with an unexpected sense of peace which, in turn, prompted him to meditate at length until he reached what is considered the highest state of enlightenment known as "nirvana", or awakening. Consequently, he became the Buddha, the "awakened one." Dukkha is the state whereby we crave and cling to things that are of an impermanent and changing state. It is incapable of satisfying us while at the same time being painful. Samudaya is the originating or beginning of dukkha. It is the craving for and clinging to these impermanent states and things. It keeps us trapped in dissatisfaction and unhappiness. Nirodha is the cessation of dukkha. By discontinuing craving and clinging to things nirvana is attained and dissatisfaction no longer arises. Magga is the path to the cessation of or liberation from dukka. It is achieved by cultivating discipline and self restraint and by practicing mindfulness and meditation. These four truths, as well as representing the awakening and liberation of the Buddha, likewise, provide the possibility of liberation for all conscious beings. They demonstrate how release from cravings and attachment can be achieved. By seeking these modes of behavior and awareness, the Buddha taught that one could transcend various aspects of negative individualism such as pride, anxiety, unhappiness and the like, and consequently gain compassion for all other suffering living beings. By cultivating a mindful attitude one could convert negative emotions and states of mind such as ignorance, anger and greed into positive and productive ones such as wisdom, compassion and generosity. The importance of the teachings lies in the realization that we are all born into life unaware of the suffering, sickness and death that is imminent. As we mature and encounter this reality, we become overwhelmed and seek to avoid it completely; however, Buddha's teachings seek to stress the importance of confronting suffering directly. We must recognize it as our genuine connection to others and allow it to arouse in us kindness and compassion. The Buddha, throughout his travels gained many disciples and reached people from all walks of life. He was not a god, nor did he ever make a claim to divinity. He was a human being who, through meditation and great personal effort, attained Enlightenment. He likewise affirmed the same potential and ability of every other human being to attain it as well. 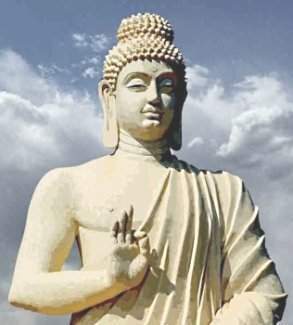 The religion of Buddhism started with the Buddha. Buddha means "one who is awake - one who has woken up to reality". Ultimately, the Buddha was an ordinary human being who became enlightened. He came to understand life in the most meaningful and profound way.